The corporate world is at full stretch. On the one hand companies must meet ever-growing expectations with regard to customer experience, while on the other hand there’s a need for economic efficiency. The ultimate challenge for the customer service of the future consists in offering improved customer service at a lower cost. In the years to come, every company will question its customer processes. Any sensible company will strive to create the ideal combination between efficiency and the perfect customer experience. Players who are only active online, such as Amazon.com and Booking.com, boast a highly efficient customer process. Even though their customers rarely come into contact with actual people they still provide a very satisfactory customer experience. Traditional companies have a history of a personal service burdened with a heavy cost structure. 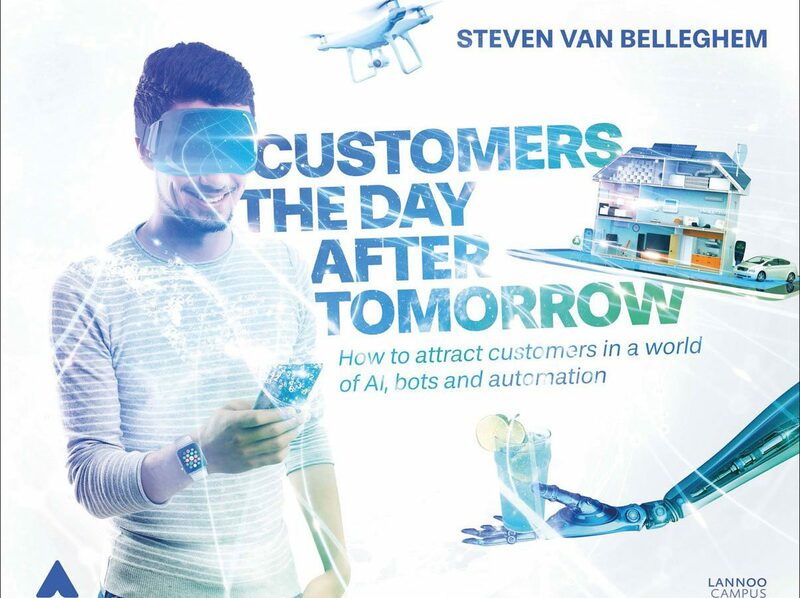 To avoid overstretching, traditional companies must invest in digitization and in forging a personal (emotional) connection with the customer. Technology is opening up new possibilities in this regard but customers also like personal contact. This combination is shaping the future of customer service: a shift to self-service while still keeping things personal. Also, the service package is expanded by involving the customers themselves in the process. The customer-helps-customer philosophy (crowd service) enables companies to be more efficient and improve their service without losing sight of the human aspect. Fifty-five percent of consumers like the idea of other consumers helping them and 58% are prepared to help others. The customer is ready for crowd service. This paper was written based on my own research (in collaboration with SSI and translation partner No problem! ), desk research and discussions with companies. This paper takes a closer look at new trends and evolutions in the field of customer service. Our society is evolving at breakneck speed and the mass consumer market is being flooded with new technologies. This changes consumer behavior and creates fresh opportunities for companies. At the moment, there are four trends with a major impact on customer service. These four trends emphasize the urgency for companies to place their own customer service under the microscope. Mobile: Since Q2 2013, American adults have been spending more time on their mobile phones than watching TV. Since mid-2013, more than 1.5 billion smartphones are in use worldwide. The future is mobile. Consumers can contact companies with their questions anywhere in the world, round the clock. The next few years will see a continued expansion of mobile applications such as Google Glass, Apple iWatch, etc. Consumers will no longer automatically run to their telephones or computers in case of problems or questions. Instead, their initial reflex will be to grab their mobile. Also, they will expect the problem to be solved instantly. The future of customer service is mobile. Unrealistic customer expectations: customers find every aspect of customer service important. They want speed, amiability, a solution in a single interaction, the integration of different service channels â€¦ For the average company, meeting customer expectations has become an all but impossible proposition. Besides, the traditional approach is too expensive to be able to meet expectations. The only way of doing so is through self-service. Self-service is fast, always available and solves the problem in a single interaction. Seventy percent of customers expect a self-service solution. In the late nineties, customers hated completing bank transfers via the computer; not offering this option today is a competitive disadvantage. The future of customer service is self-service. The crowd economy: consumers do business with each other more and more often. According to The Economist, the crowd economy or sharing economy as it is also known, currently represents a $ 26 billion industry. MIT expects significant market growth: in the near future, this economy may be worth as much as 110 billion dollars. A study by Jeremiah Owyang shows that consumers would rather do business with companies from the crowd economy than with the traditional players in the market. For instance, customer satisfaction with AirBnB is much higher than with classic hotel chains like Hilton. This trend is a great customer service opportunity. People like working together and consumers like to help each other. The future of customer service is a future of working with the customer. Cut-throat competition: the economic crisis and digitization have made for much fiercer competition. The average stay in the Fortune 500 has dwindled from 65 years (1920-1950) to just fifteen (2000-2013). In our fast-evolving world, the names of the top players change more rapidly than before. As a matter of fact, many companies find themselves competing with a â€œfreeâ€ rival. For instance, every newspaper is damaged by free online content. There are two models for dealing with this situation: in the first model, customer centricity is fully automated, thereby minimizing the amount of human contact. In turn, this alleviates the pressure on margins but the chances of building an emotional rapport with the customer are small. The second model promotes the combination of digitization with a human touch. A pure online player like Coolblue is able to give its company a human face by having employees feature in YouTube videos. Their offline shops also add another human dimension. People enjoy human contact, even in an increasingly digitized society. The second model also increases the likelihood of an emotional bond, which inspires greater customer loyalty. The future of customer service is digitization but with a human touch. The focus in customer service will evolve in the years to come. For every company out there, it is important to take the lead in this evolution. Its goal: more satisfied customers at a lower cost. A study by McKinsey has revealed a key difference in efficiency between personal service, self-service and crowd service. If the cost of personal service is 100% then the cost of self-service amounts to 12% and crowd service to 9%, so there’s a huge discrepancy there. Available 24/7 and year-round: the customer has access to customer service on a permanent basis. Self-service solutions for mobile devices are easy to design. As self-service is digital, it is easier for companies to keep records of the interactions than with offline contact. Crowd service makes it possible to offer a broader range of services. When consumers ask questions about the product category, it is often too expensive for organizations to answer those questions themselves. When the input on non-core questions comes from other consumers, the cost is very limited. Consumers taking part in a crowd service program feel like they are part of the company. They often become brand ambassadors and this creates an indirect marketing effect. Crowd service is a type of personal service. Customers communicate with others (other customers). In other words, this is personal interaction, which builds more of an emotional bond. The relationship between the different service types will undergo some changes in the years to come. Consumers expect more self-service and are receptive to crowd service. Moreover, both approaches are more efficient than personal service. This means that a shift from personal service to self and crowd service will result in better service at a lower cost. In the first few years, self-service will gain importance before crowd service does. Many companies have already invested in self-service (e.g. the financial world, travel sectorâ€¦). For now, investments in crowd service are more modest. In a second phase, though, crowd service will catch up. The crowd economy will keep growing and this will make the transition to crowd service easier than it is right now. Of course, personal service won’t disappear altogether but its importance will diminish over time. Personal service will continue to act as a kind of safety net. The need for a personalized solution will continue to exist in those cases where self or crowd service fail to provide the answer. Companies like booking.com, a pure online player, are already focusing on self-service (consumer takes care of bookings and modifications) and crowd service (questions about hotels are answered by other consumers). Nevertheless the company still has a large call center to assist customers personally if self and crowd service are not enough. The table below gives an indication as to how the focus in customer service may shift in the coming years. Even though the focus in customer service is shifting from personal to digital service, the personal channel still exists. Customer service is becoming more of a multichannel affair than before. Data centralization is a priority in the elaboration of the channel strategy. Consumers expect companies to centralize and keep track of all their interactions. Customers don’t like to repeat themselves. Organizing the new service channels in the manner of silos is far from ideal. Mobile customer service is essential in a mobile world. By 2016, more than half of all customer service questions will be submitted via a mobile device. Organizations would do well to mold their self-service solutions entirely on mobile. Customer relations are changing. The digitization of society is creating new opportunities for companies to optimize their relationship with their customers. Nevertheless, the rate of change continues to accelerate. Today, if an organization fails to question its own approach or doesn’t know where it’s going with its customer service, then it is bound to come under threat in the relatively short term. The future of customer service starts today. Brainstorming about the changing role of personal, self and crowd service is a priority to any organization.